The Cuisinart CNSG-120 is a outdoor griddle. With this handy item, breakfast and fatty foods can be easily cooked without flare ups. That means a safer and more convenient way to cook outdoors, and more delicious foods to add to menu. 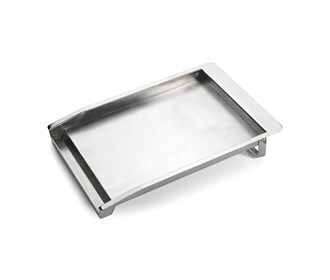 The hash browns, grilled cheese, veggies and more can be made with this stainless steel griddle right on top of grill. 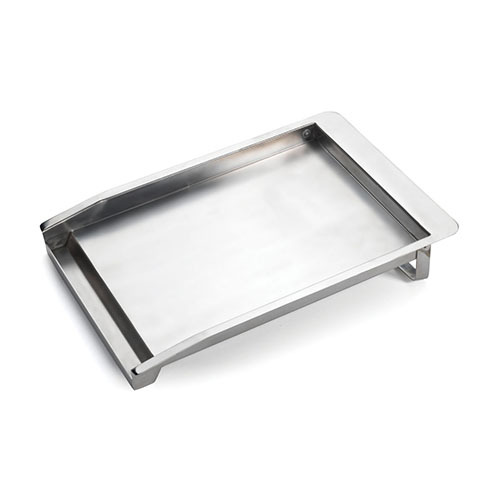 Its 9" x 11" stainless steel cooking surface is spacious enough to cook several items at once. It also has a dripping and scraping trough and an adjustable height to drain grease from foods. The Cuisinart All Foods Outdoor Griddle is an ideal addition to an outdoor grill. The Cuisinart All Foods Outdoor Griddle has many exciting features for users of all types. The Cuisinart All Foods Outdoor Griddle is sold as a Brand New Unopened Item.